Imagine: You’re at an airport with your fancy new bag rolling behind you. You have spent a little too much time deciding which plane snack will both taste good and doesn’t have too many calories, and now must sprint to catch your plane. You make a turn and suddenly, your bag begins to wobble. No time to fix it, you are now dragging your suitcase sideways to the gate. 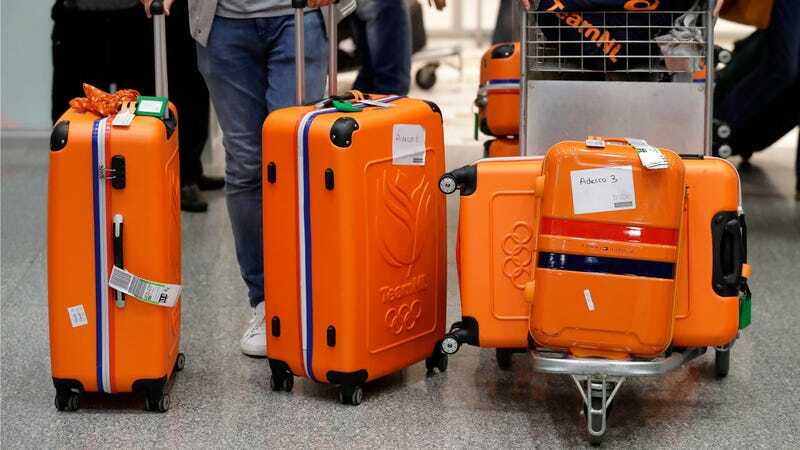 This is a problem for me, and I’m sure it’s a problem for at least some other people, because researchers at Paris Diderot University have decided it’s worth studying why rolly suitcases wobble. After making models and doing the math thing, they think they’ve got a solution. But dang, the more you know, I guess.